Size is no object for Agrumi topiary. 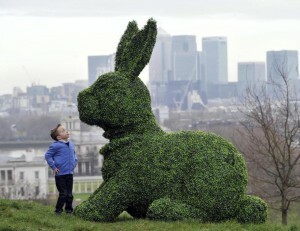 Whether for an event or just advertisement, giant-topiary can be an eye-catching and unusual way to draw in the crowds. 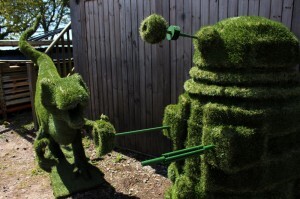 We recently completed our first international topiary commission against formidable competition! 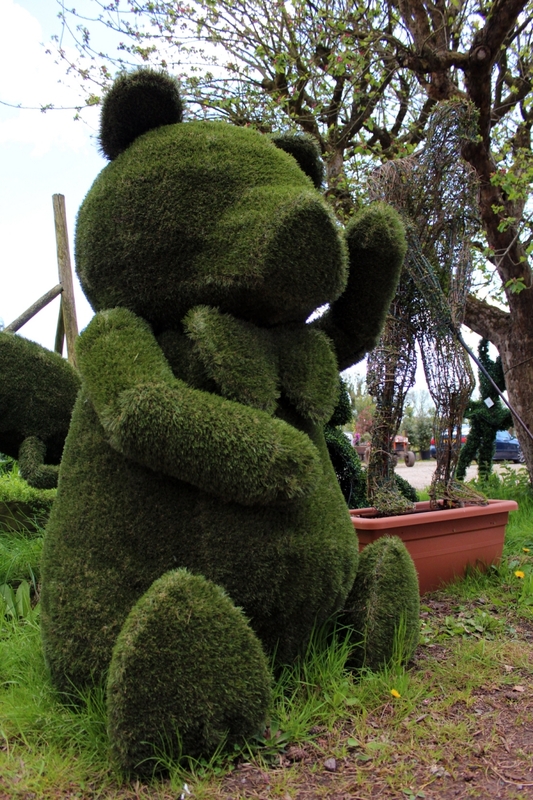 In just 10 days we designed, constructed and delivered a 3 metre high topiary teddy bear sculpture to a municipal project in Belgium; the impressive bear now features on a prominent roundabout site and is being enjoyed by thousands of people as they drive by on their daily commutes. 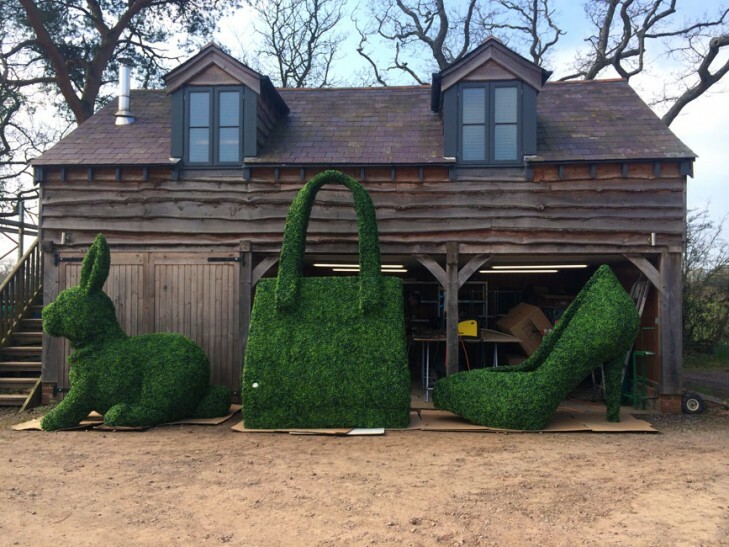 This two-metre high giant topiary shoe was commissioned by Rain Communications to launch a week-long fashion and floral-themed festival in London. The design was based on a pair of similarly formed denim stiletto shoes purchased by Lady Gaga from Lungta de Fancy in St Christopher’s Place, near Oxford Street, and was made in just two weeks. 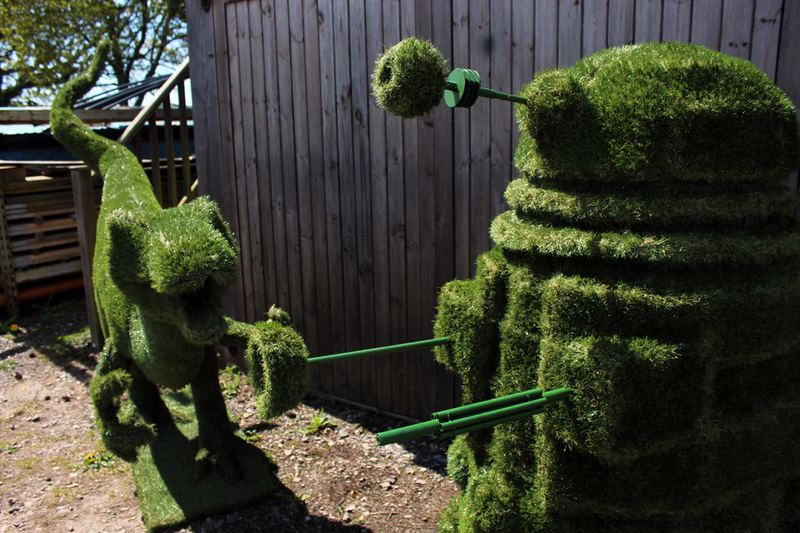 The local traders wanted to commemorate the celebrity visit; what better way than through the art of topiary!